Heights home prices have a lot of variables of course, but the two big decisions a buyer has to make are location and new vs. old. After you narrow down the location you have to chose between new (or at least built in last 10 years or so) or old. 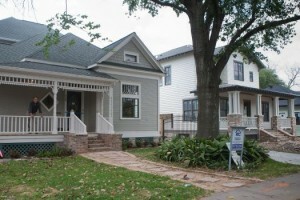 New is typically tall and skinny on small lots; old is smaller, but on big lot. 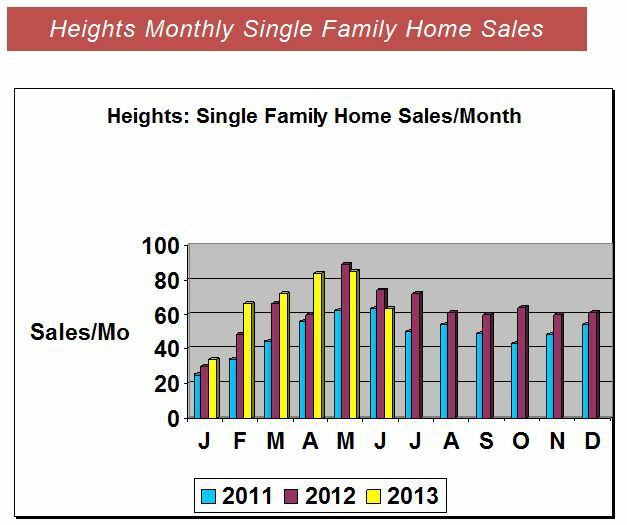 Below are some some charts on price trends in the Heights. Deciding on old vs new/recent may be a difficult choice for some of you. Here is an old post I did comparing Old vs. New. The post is several years old and prices don’t relate, but the comparison is still valid. Each area has different lot sizes and differing levels of desirability. Woodland Heights and the core area of Houston Heights are the most sought after. The areas nearer the edges, i.e. 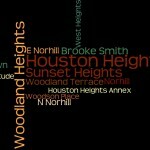 Heights Annex, Sunset Heights, Brooke Smith are not as pricey. So, in looking at prices be sure to compare apples to apples. 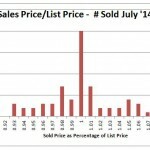 The table below gives prices for resale homes – not new homes or even recent homes. 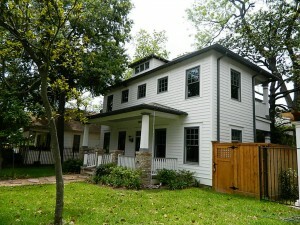 These are all older homes that have been remodeled. These are mostly Victorians and Craftsman bungalows from the 1910’s and 1930’s. I deleted most of the newer homes because they generally were built on smaller lots (2 houses where previously there was one). I don’t expect any softening of prices with the oil price slump, but I do expect the last two columns to change. Days on Market should slowly edge back toward historical 90 days; and the ratio of list price to sold prices should drop a little (96%-97% were the norm in years past). New home prices can’t all be lumped together; they have to be sorted by land size and location. In the suburbs the difference in home prices isn’t affected much by lot size. If you have a lot 3000 SF bigger than your neighbor’s its only $3/SF more, so no big deal. 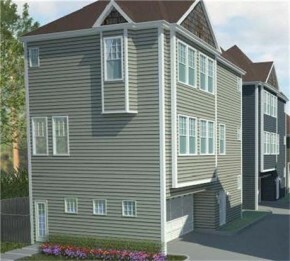 In the Heights where land is $50-$80/SF, a big lot makes a huge difference in price. For this reason I have sorted out new construction homes on full sized lots (4500+ SF) from those with smaller lots. Other homes written about in other posts. 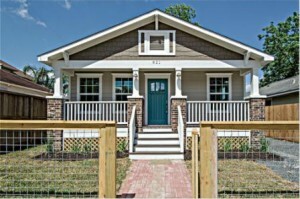 New Homes on Small Lots (2500 -3500 SF lots). $684K Avg. 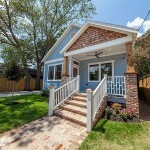 2668 SF Avg. 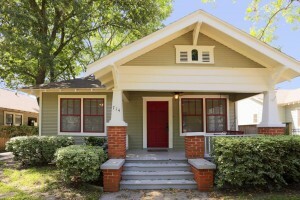 3238 SF Avg. $256/SF Avg. A couple of notes about table above. Garage-front: If there is no alley access, then the home is normally front-loading. There is no alley access for the garage, and the lot is too narrow to allow a driveway. 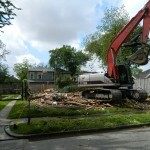 Thus the only option is for the garage to face the street and the house be built above and behind it. 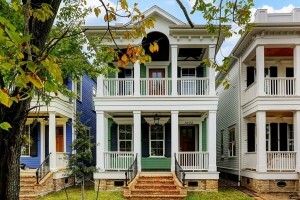 Porch-front: If there is an alley behind the house, then a typical “Heights style” home can be built…porches in front; detached garage behind. When buying, one of the options you have is bigger homes on smaller lots (the homes discussed here), or smaller old homes on big lots. There are no mass builders at this price point. 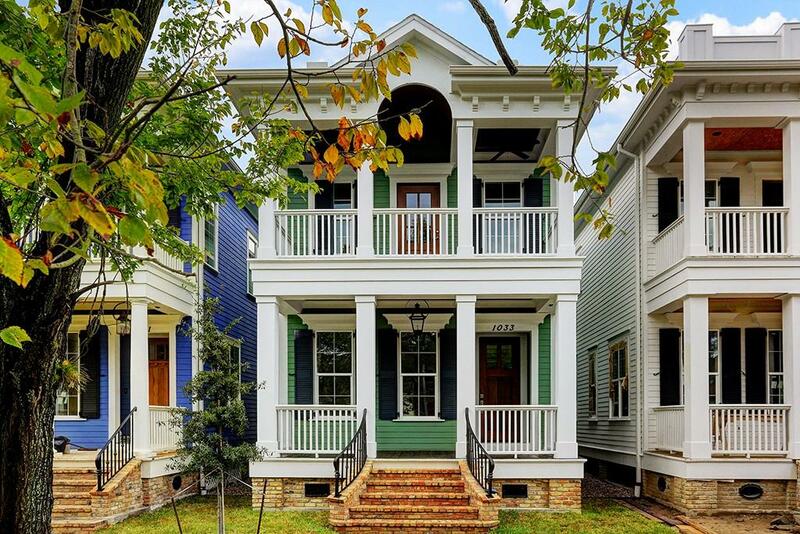 There were 3 big homes sold in 1st Q and 21 on the market or being built now. These 24 homes were built by 17 builders…thus 1 or 2 homes is typically all a builder is making in this price range. One other thing worth noting: The average price per SF ($310/SF) is the same for new homes. This has historically been true. Prices are equivalent for gorgeous remodels and for new homes (with location and lot sizes being equal). The table below shows early 2015 prices of these big homes, pricing starting at $1M. 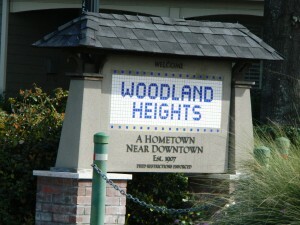 The Heights has never been a location for high density homes. As land prices continue to escalate though more homes are being built in communities with a common drive. Less land cost means lower prices. Some high end condos are being built too. These are typically built around the edges of the Heights. $1.31M Avg. 3952 SF Avg. 6600 SF Avg. $331/SF Avg. Land prices have doubled over the last couple of years. 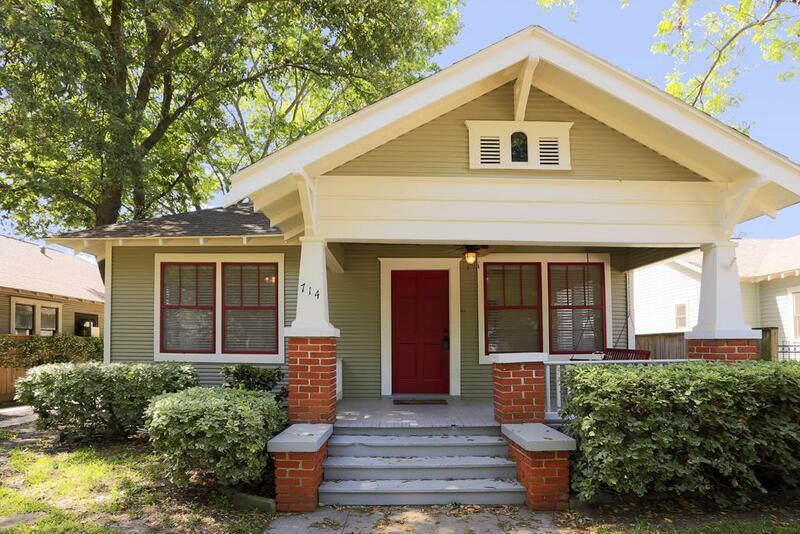 $80/SF is not uncommon in parts of Houston Heights and Woodland Heights. Even Sunset Heights is $55-$60/SF. This is very popular for new homes. Brooke Smith used to be very affordable, but $50/SF is about the going rate now. 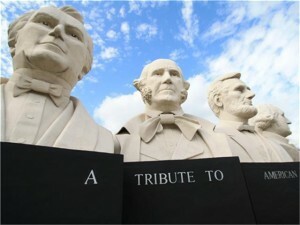 Subscribe to my blog to be notified of updates. What is the Heights Market Like Now?